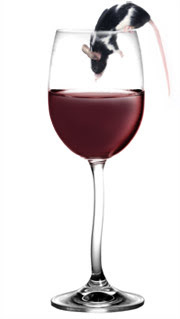 Some of you may recall that I’ve written earlier this month on the reported hype (and potential dangers) of the resveratrol craze. I won’t spend too much verbiage on this post, as I’m sure the developing story will be covered by dozens of talented bloggers today. I certainly have – in fact, it’s moments like those that sent me on the path to ‘wine geekdom’. One day long ago, while staring down the intimidating rows of French and CA wines, I made a pact with myself – I was determined that I would “lick this wine thing” and turn it into something that I enjoyed, instead of something that made me feel like running timidly out of the liquor store door. There are hundreds of tools and articles to help match food & wine, but these can only take you so far, and rarely (if ever) describe the exact situation you may have when you’re facing a a tough food & wine match, or one of those hot-date-night-gotta-get-right scenarios. So… I’ve been thinking that it would be fun to help others on their quest for the right wine pairings for their given situation, and to use my newfound wine powers for the purpose of good, justice league style (just without the cape & tights). 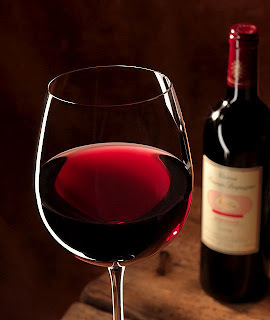 So – I invite any of who stumble onto this blog to drop me a comment describing your situation/event/meal plan/etc., and I will respond back my recommendations on the style of wine (and, if possible, specific wines that have served me well in similar situations in the past). Who knows – together we might build an impressive mini-library of real-world wine pairing experiences! 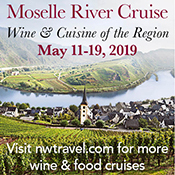 And the worst-case scenario is that you get to try something new while tapping into my wine experience and knowledge (at no expense to you, and without having to take all of those damn certifications!). Wheel of Misfortune OR "Screw it & pass the Bubbly!" I’ve posted previously about my take on the “main” (aka internationally-recognized) streams of wine certification. If you’ve ever wondered what it would be like to take one of the certification exams, you should check out the World Wine Challenge game that I stumbled upon recently. 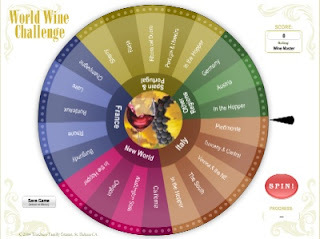 It’s a simple flash game – a) spin the wheel, b) answer the question, and c) unless you’ve done some hard-core wine studying, prepare to become the wheel’s b*tch. The questions are reasonably tough – more difficult than most of the questions in the WSET Intermediate certification exam, and almost consistently as tricky as those in the Certified Specialist of Wine (CSW) exam. How did I do? Not as well as I should have considering how recently I passed the WSET Advanced and CSW exams. So… I said screw it and decided to drink some wine instead (back to the old-fashioned wine study method!). For those times that you say “Screw it! Let’s have a drink…” this holiday season, I advise you not to forget the Bubbly (aka sparkling wine). Here in the Northeast, when the weather gets cooler we start to gravitate towards the heavy, alcoholic, and very red wine styles to give our insides that warm-and-fuzzy feeling. So we tend to forget how awesome it is having a bottle of bubbly around for the holidays. My buddy Jason has recently penned a list of his holiday fizz favorites for Main Line magazine. A snippet from his picks are below (click to enlarge). If you’re in the mood to splurge, I highly suggest “La Grande Dame” (if you’re also in the Philly area, I also highly suggest that you e-mail me when you open it!). drive to DE and buy from their more-competitively-priced, larger, and all-around supieror selection (technically this is a crime, and is also my preferred method). Only in one case did the PLCB have the best price available. In about half the wines, the PLCB was competitive — within 10% of the best price available, but the other half, the prices were significantly higher. If you have to buy your wine, buy it when you’re not in Pennsylvania. You’ll get a better selection and (if you look for it) a better price. Of course, almost NONE of the wines listed above could actually be purchased at a PLCB store near me, even though I could buy those wines online if I lived in Ohio. I’ve recently been checking out another gem of a web resource in the fight against all of this monopolistic madness – the Wine Without Borders Blog. Check it out – and, if you suffer in a state with Communist practices like mine, consider donating to their cause!